Seamless connection to many Bluetooth devices such as apple iPhone, Samsung galaxy, tablets, etc. Looking for a speaker this summer? 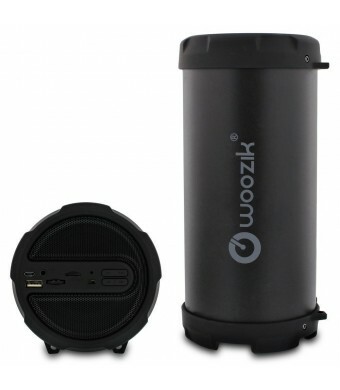 With dynamic sound, crisp sound clarity, and heavy bass, the WOOZIK s213 speaker is what you're looking for. With an user friendly interface, and compatibility with many Bluetooth devices including apple and Samsung products, you will love this speaker .